It comes every year and it comes quickly. January. The beginning of the year. Another year. Full of possibilities, full of potential, full of challenges, full of the unexpected and the mundane, full of joys and sorrows. And the first month is already almost done. In our house it coincides with Tim’s seasonal unemployment, absolute below freezing cold weather and the approach to high school exam time. It can be difficult to lift my head up and go beyond survival mode. It’s a time of both getting back to normal and getting used to a new normal. In the spaces where I do take time at the beginning of the new year I evaluate what I’m doing and whether there are things I should do more of and things I should stop doing, get rid of or change. I don’t do resolutions as it’s a bit like putting myself under the law and setting myself up for failure, but I like to have goals – things to aim for. There are things I’d like to finish and things I’d like to start. Some things are small like aiming not to get frustrated because everyone seems to be in the house when I want to sit down and write. I came across a book of advice for wannabe writers last week, entitled, ‘Ignore everybody: and 39 other keys to creativity’ by Hugh Macleod (I have yet to read the book so don’t know what it’s like, but I did like the title). In our house it’s very hard to ignore everyone, and I’ve already got frustrated. I think Roald Dahl used to write in a little shed in the garden. 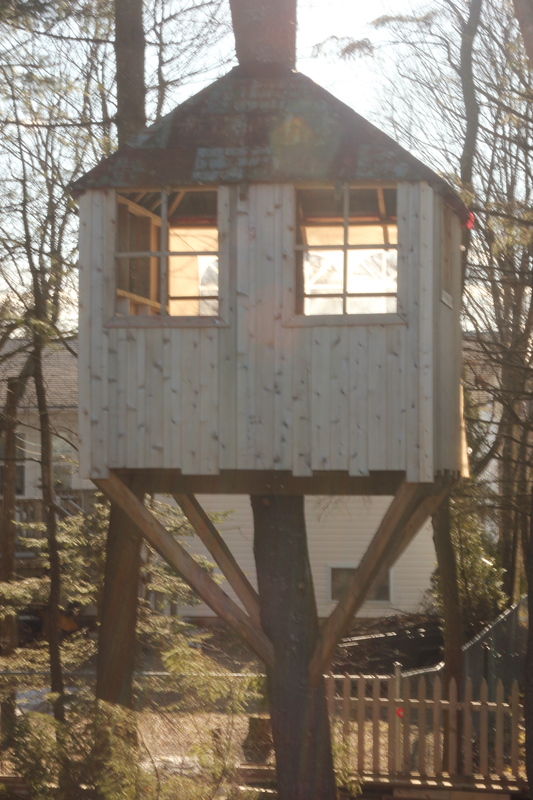 I suppose we do have a treehouse, but I would get frozen to death up there at the moment. Coziness and writing go together, for me anyway. Some things are big, or maybe big in my head. One of my mental self-evaluation questions was, ‘Should I continue to post on my blog?’ The answer? I’m writing now. Resolved. Some things are bigger. Should I continue to campaign against injustice or is that someone else’s job? After all, life is busy, surely I need to focus on my family. What difference can I make anyway? Who will miss my voice? Then I realize these last ones aren’t self-evaluation questions. These are doubts. The plain fact is that I know, and I can’t go back to not knowing, about human trafficking and slavery, and I can’t stand by while it goes on. When I buy clothes, chocolate or anything, I know that I could be exploiting someone else. In the rare times I stay in a hotel or motel, there could be victims of trafficking being abused in another room. In all likelihood there are victims of trafficking in my own city. I want to be educated and aware of what is going on both in my own country and all over the world, and to make people aware that there are things we can do to change the situation. This and other injustices can be stopped. A good friend said to me today that she once had a t-shirt with the slogan, ‘Refuse to do nothing’. I think that is my goal for 2015. I can’t do everything, but I can do something, and doing nothing is not an option.